Fall migration can be fun at Six-Mile Cypress Slough in Ft Myers when weather patterns encourage the neo-tropics to visit for awhile. 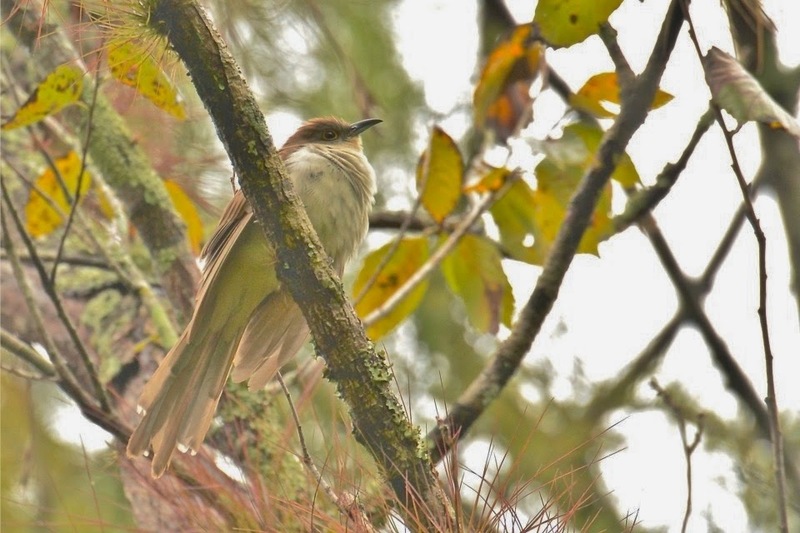 Sometimes we can even get a rarity to our corner of Florida like the Lifer I got a hit on when our group found a young Black-billed Cuckoo along the board walk. But so far we are still looking for any Canada or Nashville Warblers or such that may come our way. September started out very slow but as we reached mid-month birding has become fun as the numbers and variety of neotropic migrants. Some birds were getting as many as seventeen warblers on a day. Summer Tanagers, Eastern Wood-pewees, Thrushes, Vireos and Cuckoos also have become common these past few days. Before long it'll quite down again and we'll have to wait till next spring to see many of these interesting and beautiful birds. Short-tailed Hawk, Yellow-billed Cuckoo, Black-billed Cuckoo, Barred Owl, Belted Kingfisher, Eastern Wood-Pewee, Acadian Flycatcher, Great Crested Flycatcher, White-eyed Vireo, Yellow-throated Vireo, Red-eyed Vireo, Veery, Gray-checked Thrush, Swainson's Thrush, Ovenbird, Worm-eating Warbler, Louisiana Waterthrush, Northern Waterthrush, Blue-winged Warbler, Black-and-White Warbler, Prothonotary Warbler, Swainson's Warbler, Tennessee Warbler, Common Yellowthroat, Warbler, Hooded Warbler, American Redstart, Northern Parula, Magnolia Warbler, Blackburnian Warbler, Yellow Warbler, Chestnut-sided Warbler, Black-throated Blue Warbler, Palm Warbler, Pine warbler, Yellow-throated Warbler, Prairie Warbler, Black-throated Green Warbler, Summer Tanager. Recently, a young Red-necked Phalarope had spent several days feeding in a tidal pool on a Siesta Key beach near Sarasota. I couldn't get there for several days following its discovery and was not hopeful that it would still be on-hand. Well It was gratifying to be able to find he was still here. This tidal pool was very active with scores of Willets, Black Skimmers, Laughing Gulls, Royal Terns, Sandwich Terns, Red Knots, Semipalmated Plovers, Snowy Plovers, Black-bellied Plovers, Semipalmated sandpipers, Ruddy Turnstones, Great Blue Heron, Reddish Egret, Snowy Egrets, Rosette Spoonbill, and both Lesser and Greater Yellow-legs. Additionally White-rumped Sandpiper has been reported here and I really though I had scored with a Baird's Sandpiper. These are not commonly seen in Florida. Was disappointed to learn that it was only a juvy Semipalmated Sandpiper. 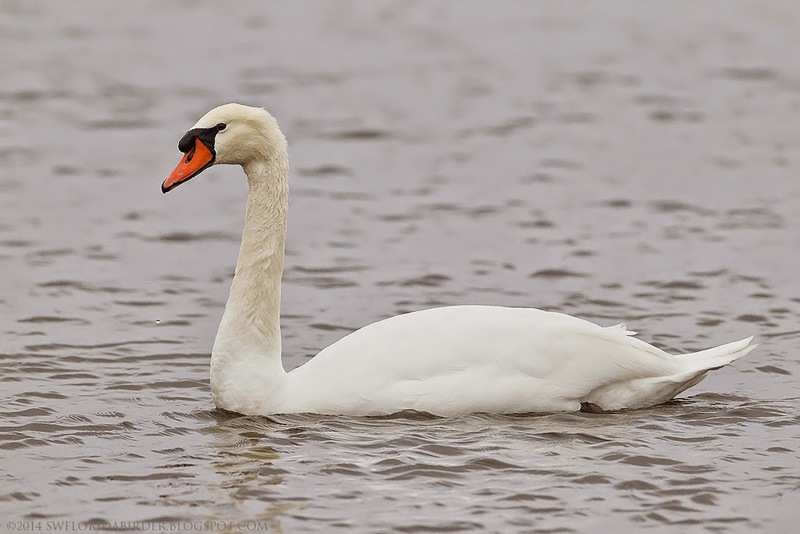 On my recent trip to the Chicago area I was disappointed to have dipped on sighting any wild Mute Swans. On previous visits to the area I had found them on several lakes, but these visits were in late spring or early summer. So I started doing a little research to find if they leave the area following nesting. What I did find was that in those states and in Canada were they have become established, the wildlife authorities are seeking methods to control or eliminate the species. Seems that these large birds are not always good neighbors and can become quite aggressive during nesting. We had witnessed such an event several years ago. Just imagine the aggressiveness of a Northern Mockingbird that weighs twenty pounds. In fact a man in Illinois was drowned in such an attach a couple of years ago. This aggression can also be directed toward our native and endangered Trumpeter Swans. In Pennsylvania and other states there is a fear that there growing numbers and their disruption in marshes used by nesting Black Terns will harm the terns. So these non-native, invasive and beautiful swans have to go. Its a shame. Planned hunts in several states have been curtailed due to negative public reaction. So I wondered if these Illinois swans had migrated or were they quietly being thinned out. Near Volo in lake County is the Volo Bog State Natural Area. Famous for its Quacking Bog, which is surrounded by several varying eco-systems. It is a very unique place to visit, hike or go birding. Mink, beavers and muskrats inhabit the preserve. Today I observed a couple of White-tailed Deer, Gray Squirrels, cottontail Rabbit and a fat Woodchuck. As for birds it started in the parking the lot with a Chipping and a Swamp Sparrow, more Goldfinches, Eastern Kingbird, Mourning Doves, Barn Swallows and an Indigo Buntings. As I entered the Tamarack Trail (2.25 M), numerous Gray Catbirds could be heard as well as American Robins. Soon I added House Wren, Tennessee Warbler, American Crow, Black-capped Chickadee, Eastern Phoebe, Red-headed Woodpecker, Red-bellied Woodpecker, Downy Woodpecker, a Flicker, a Warbling Vireo, American Redstart, a pair of Wood Thrushes and a pair of Least Flycatchers. In the grassland, aside from the Goldfinches I could only really add a pair of Eastern Bluebirds. The wetlands had very few Red-winged Blackbirds and I only found a lone Mallard and a lone female Wood Duck. A few Great Blue Herons and Great Egrets and a lone Pied-billed Grebe were present. No swans again and all of the Canada Geese were flying overhead. Only heard a Sandhill Crane today. But my best bird of the day was a lifer in an Olive-sided Flycatcher sitting on a tall snag over hanging the a wetlands location. Its been a few years since I've visited Rollins Savannah and its my first visit at this time of the year. Today the prairie is aflame with the colors of the many wildflowers blooming across the preserve. This place is certainly a success story from its convergence from Illinois farmland back to a the prairie that once encompassed most of the state. I arrived very early and quickly found that the American Goldfinches were everywhere, attracted to the seeds being produced by abundance of flowers. The grassland birds that breed here seem to have already departed for the south. Didn't see any bobolinks and just one Eastern Meadowlark. Also missed, again on the henslow's sparrows, I did see few Song and Swamp Sparrows. I did get to see a Northern Harrier as it patrolled the grass. The wetlands areas had very few waterfowl species today. Just a Mallard and a hand-full of Blue-winged Teal. Had hoped for a sighting of mute swans, but recent reports state that the swans are not as numerous as I had experienced in the past. 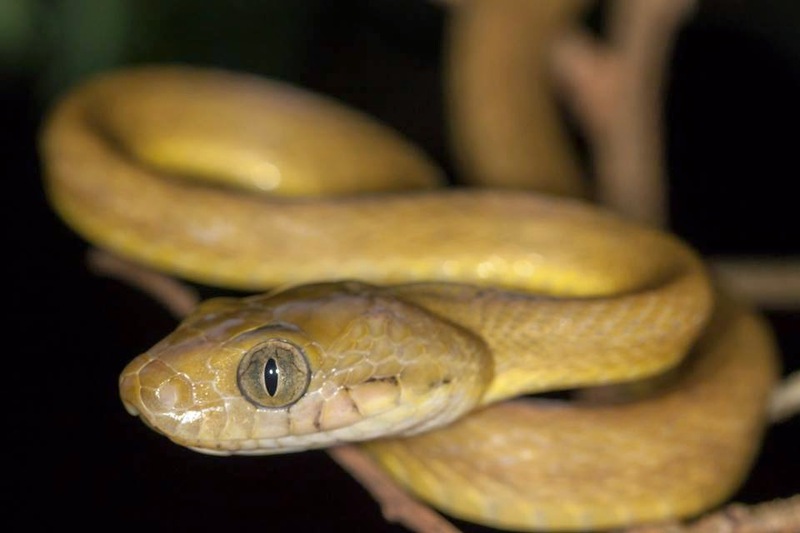 They may have already migrated to the southern end of the state or the DNR has been quietly reducing their numbers as they are considered to be an exotic, disruptive species. Did have a nice surprise when I sighted a Marsh Wren in the company of a Virginia Rail. A very nice surprise. Other species seen or heard today included Great Blue Herons, Great Egrets, a Green Heron, a Killdeer, a few , Cedar Waxwings, Starlings, a Tennessee Warbler and Red-winged Blackbirds. We made our only trip into the city as I had promised my daughter a visit to the Chicago Field Museum for the mummies and fossils. But first we had to make a birding stop in Lincoln Park at the Montrose Point Bird Sanctuary and the 'Magic Hedge' located right on Lake Michigan. The birding here can be very special, especially in migration. We arrived about 8:30 am an hit on a Lifer with sighting a Yellow-bellied Flycatcher. I was keen to visit here as there were opportunities to find birds that do not pass through Florida very often, such as the yellow-bellied flycatcher, as well as a Philadelphia Vireo and a Nashville Warbler we found here. American Goldfinches, House Finches and House Sparrows were no doubt the most common birds on the day followed by the many Chimney Swifts swooping overhead. Other species found today included a female Baltimore Oriole, several Black-capped Chickadees and Cedar Waxwings. Down by the beach we did not see any special shorebirds, such as baird's sandpiper or hudsonian godwit, but did see Sanderlings, Killdeer, and Semipalmated Plovers. The grassy area were ablaze in color with all of the blooming wild flowers. Wish we had more time to discover more interesting birds but it was time to head to the museum. The grassy area were ablaze in color with all of the blooming wild flowers. Wish we had more time to discover more interesting birds but it was time to head to the museum. The Field Museum was just a short drive from Montrose Harbor and we were here for the fossils and Mummies. In the Egyptian Hall we were lucky to catch-up with a gentleman leading an extremely interesting guided tour about ancient Egypt. He, for example, was explaining the meaning of symbols on a 3000 year old copy of The Book of The Dead. Which he explained was not really a religious document, but a guide book on how to enter the afterlife. At one end of the Main Hall stands the most complete remains of "Sue" a T. Rex unearthed recently in South Dakota. Sue's skull was far too heavy to successfully mount with the rest of her bones. It sits on display on upper level while a lighter facsimile adores the skeleton. More on the Story of Evolution is located on the upper level above Sue. Over the Labor Day weekend my daughter and I flew up the Chicago Area to attend a couple of family functions. We actually flew into the Milwaukee airport as it was closest to my sister's home in Antioch, Illinois. Nicholson's is a small preserve ideally located along our route from the airport. As a birder I had to add a stop somewhere on this beautiful afternoon. The weather is about ten degrees cooler than at home in Florida which my daughter and I were both enjoying. The park features a mix of ecosystems including wetlands, uplands and grass. I walked about a mile in and was first entertained by a few noisy Black-capped Chickadees. Other species encountered several that would soon be relocating to my part of the world including Cedar Waxwings, Gray Catbirds, American Robins, Tree and Barn Swallows. Several Sandhill Cranes were busy on some farmland bordering the property. In the wetlands we had our best sighting in a trio of Ruddy Ducks, plus a Green Heron, Great Blue Heron, Mallard, Pied-billed Grebes and a fly-over of Canada Geese. Other sightings included American Crow, Red-tailed Hawk and even Rock Pigeons. After an hour it was time to head on to Antioch and family.